SE Healthcare Data Analytics and Solutions > CAROL FREER, M.D. CAROL FREER, M.D., M.S., F.A.C.P., C.P.E. Dr. Freer is a board certified physician with more than 35 years of experience in internal medicine and infectious diseases. She currently serves as Associate Professor of Medicine with clinical and teaching responsibilities at Penn State Milton S. Hershey Medical Center. Most recently, Dr. Freer served as Chief Medical Officer for Penn State Hershey. In this role, she acted as a liaison between Senior Leadership and physicians to promote institutional wide strategies for evidenced based care, efficient clinical operations and improved communication to promote patient satisfaction and safety. Dr. Freer joined Penn State Hershey in 2008 as Associate Professor of Medicine and Director of Hospitalist Outreach. In 2009, she became Vice Chair for Clinical Affairs in the Department of Medicine. Prior to joining Penn State Hershey, Dr. Freer served 12 years as Vice President for Medical Affairs and Hospital Epidemiologist at Hanover Hospital where she directed the creation of Hanover Hospital’s first Hospitalist Care Program and participated in seven Joint Commission reviews. Dr. Freer is a member of many professional societies including being chosen as a Fellow of the American College of Physicians and a Fellow of the Society of Health Care Epidemiologists of America. She is a member of the Infectious Disease Society of America, American Association for Physician Leadership and UHC (Vizient) CMO Branch. Dr. 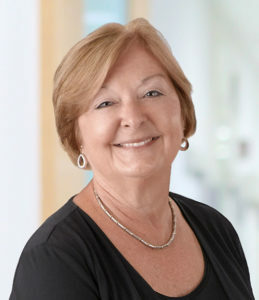 Freer has received numerous honors including Physician of the Year (2005), which was awarded by her peers for clinical excellence at Hanover Hospital. In addition, she received the Mentorship Award, Division of General Internal Medicine from PSHMC (2011) and most recently, the Distinguished Alumni Achievement Award from the University of Delaware (2016). Dr. Freer enjoys lending her medical expertise to the community. She has volunteered as a Health Officer for the Borough of Hanover, PA, Medical Director for Hanover’s Visiting Nurse Association and Consulting Epidemiologist for Hanover Hospital. Dr. Freer is a past board member of Pink Out, Inc., an organization that provides financial assistance to breast cancer patients. In 2008, she, along with a team, climbed Mt. Kilimanjaro as part of Climb for Hope, organized to raise funds for research into drugs to treat premenopausal cancer patients.